It’s time to explore a more exotic location again. And to get some sun. From 9 to 24 February, I will be in Morocco. I post my tentative itinerary before I travel in the hope to solicit advice from locals or fellow travelers, learn about interesting stories/places/people to write about, find somebody for a hike in the mountains or even to find places to stay. Here is my Couchsurfing profile with plenty of reviews, so that you can be sure that I am an easy and friendly guest and that I can reward you with travel stories that will change your life for the better (or at least entertain you for a few hours). 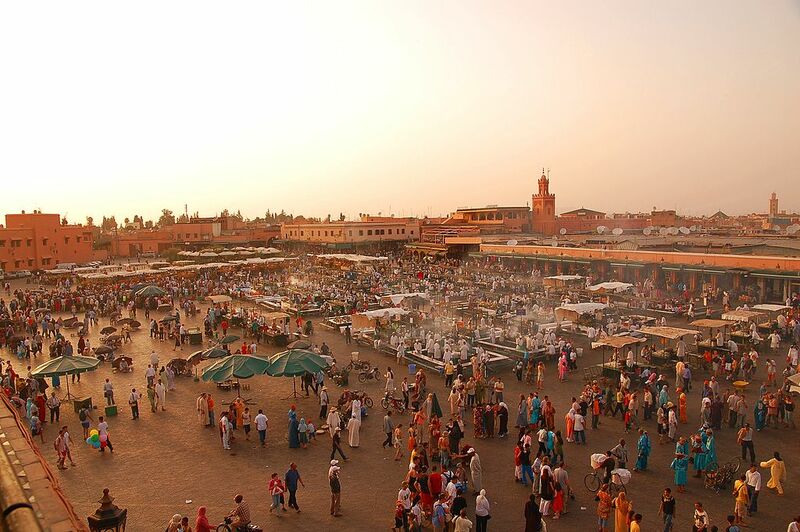 On 9 February, I will arrive in Marrakesh. Marrakesh is of course interesting enough to spend the whole two weeks there, but after a few days I will have to move on. I would like to go south to Imlil, at the foot of Jebel Toubkal, the highest mountain in North Africa. I am afraid there will be too much snow and I won’t have the right equipment to hike it up all the way, but it will still be a great sight and walking half the way will be memorable as well. Then I will continue to Ouarzazate, getting deeper and deeper into the desert landscape. I hope to find a bicycle which I can ride to Fint Oasis. My next stops will be Skoura, Imiter, Tinerhir/Tinghir, where I will take it slow, explore these old cities, cycle or hike into the mountainside and get to know life in the desert. Then I will have to go north. I haven’t found out yet if there is a bus across the High Atlas from Tinerhir/Tinghir to Imilchil and continuing to the N8. I hope so. If not, I will have to continue to Tinejdad, Er-Rachidia, Rich, Midelt and then north from there. 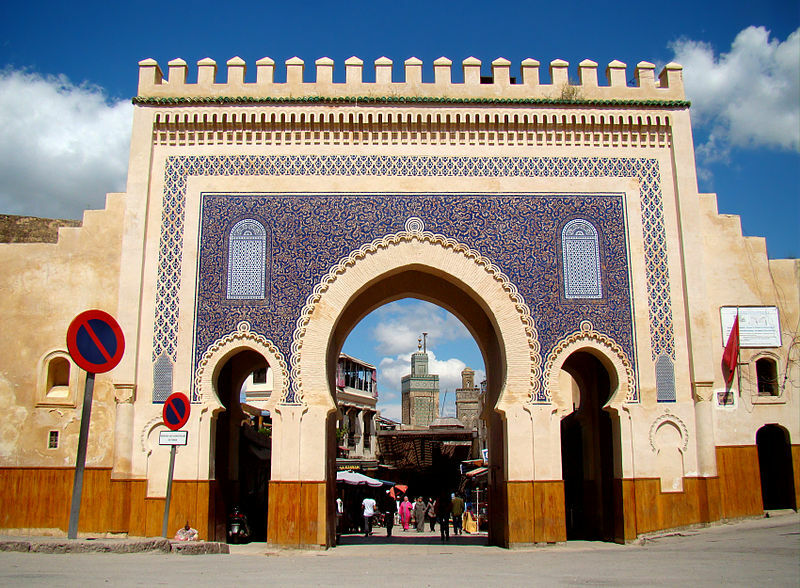 Towards the end of my trip, I will spend a few days in Meknès, before this little excursion will find its conclusion in Fez, from where I have to fly to Madrid on 24 February. I know that time will be too short, and while planning, I already got a strong feeling that I will want to return to Morocco to live there for a few months. This entry was posted in Morocco, Travel. Bookmark the permalink. The booking was a bit complicated because I wanted to fly from and return to Targu Mures, I didn’t want to spend a long time at any airport, and I wanted it to have as cheaply as possible. All of these prices include one checked-in bag (which costs up to 25 EUR per connection) because I enjoy going on board with nothing else than a book as carry-on luggage. If you can fly with hand luggage only, it will be much cheaper. Or if you fly as a couple, you can check-in only one bag together. I have this one-year membership with WizzAir, where you pay something like 30 EUR once and then you get 10 EUR off each flight. This is already factored in the prices above. There would have been even cheaper options, but then I would have needed to go to another airport within Romania, costing me another day, or I would have needed to spend 9 or 10 hours at some airport. Interestingly, I did not find these combined connections on Skyscanner, Kayak or Rome2Rio, but I had to research myself. And then WizzAir and RyanAir don’t fly these connections every day, so you have to be a bit flexible. Woa, very nice! I didn’t expect such low prices, I gotta start some research myself :). I have the same WizzAir membership which lasts until November and plan to make the most of it. Anyways the 30 euros already came back for our flights to Eindhoven and back (from Cluj), for 2 people it was 40 euros cheaper and we saved some on the checked-in baggage also. For Portugal, you could fly from Targu Mures to Madrid (direct with WizzAir) and then get a flight from there to Porto (RyanAir) or simply a train or bus. The cheapest I could find for Crete was Aegean, 180 euros without any luggage (an extra 20), either from Bucharest or Budapest..neither too flattering..
By the way, as far as I know Ryanair and Wizzair flights aren’t very compatible regarding days of operation (flew from TGM-BUD-Madrid and back, had to sleep in Budapest when coming home), so do you need to spend the night in Paris or Madrid? No, on the dates I chose (9 and 24 February), I only have to spend 4 hours at each airport and I arrive the same day as I leave. But to achieve that result did indeed require me to make a huge list of all possible connections and then cross the incompatible ones off, one by one. Hike up to the top of Toubkal (2 days), the highest point in the Atlas Mountains. From reading your blog, I think you will enjoy that. I also think I would enjoy that very much, I just don’t know how much snow there is now in February. Hi Andreas, whenever talking about future planing, be advised to add an “In-Shala” (“so God will”). Good luck for your jouney. As a Moroccan, I am fascinated by your well planned holiday, but there are some nice places you missed here like Chefchaouen, Merzouga, Agadir and a lot more ! I know that I will miss a lot, but 2 weeks are simply not enough for all of Morocco. I don’t want to rush from one city to the next because then I will just spend a lot of time on buses. So I prefer to see less places, but spend a few days at each place.